Lola Cruz is back, and she’s better than ever. 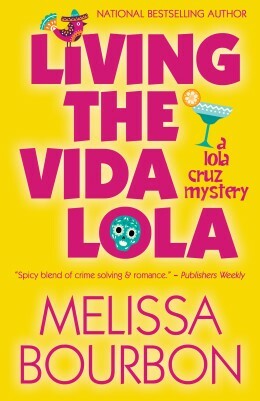 Thanks to Henery Press, the first three Lola Cruz mysteries will be re-published this January! I’m so excited. 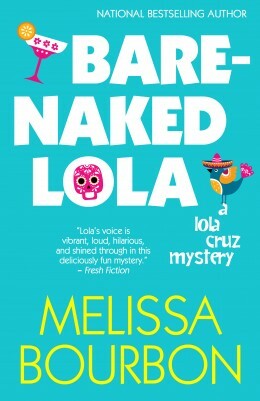 Lola was my first heroine love, and I’m so glad she’ll be back. Then, following that, there will be three new adventures in the Lola series. Look for more information soon! Meet Lola Cruz. After paying her dues as an intern, she’s now a full-fledged detective at Camacho and Associates. Her boss is Manny Camacho, a muy caliente former cop with a mysterious ex-wife, a Lara Croft look-alike girlfriend, and a sudden personal interest in Lola. She’s also reunited with the gorgeous Jack Callaghan, her high school crush whom she shamelessly tailed years ago and photographed doing the horizontal salsa with some other lucky girl. 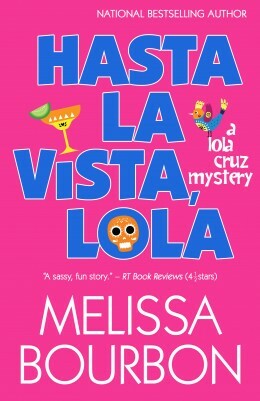 Read all the Lola Cruz Mysteries! Get the Audio book at Audible.com! Meet Lola Cruz. After paying her dues as an intern, she’s now a full-fledged detective at Camacho and Associates. Her boss is Manny Camacho, a muy caliente former cop with a mysterious ex-wife, a Lara Croft look-alike girlfriend, and a sudden personal interest in Lola. Her first big case? A missing mother who may not want to be found. And to make her already busy life even more complicated, Lola’s helping her cousin plan her quinceañera, and battling her family and their old-fashioned views on women and careers. She’s also reunited with the gorgeous Jack Callaghan, her high school crush whom she shamelessly tailed years ago and photographed doing the horizontal salsa with some other lucky girl. Lola takes it all in stride, but when the subject of her search ends up dead, she realizes she has a lot more to worry about. Soon she finds herself wrapped up in the possibly shady practices of a tattoo parlor, local politics, and someone with serious—maybe deadly—road rage. To top it all off, her treasured postcoital pictures of Jack are missing! Still, Lola is well-equipped to handle these challenges. She’s a black-belt in kung fu, and her body isn’t her only weapon. 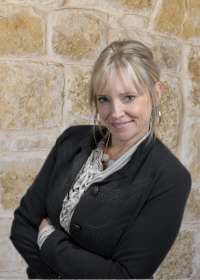 She’s got smarts, sass, and more tenacity than her Mexican mafioso-wannabe grandfather. A few of her famous margaritas don’t hurt, either. 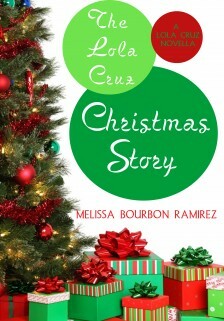 A special treat for my readers… Download The Lola Cruz Christmas Story for free wherever eBooks are available! The Lola Cruz Christmas Story is a short, holiday prequel to Living the Vida Lola. Lola is summoned by a woman from her past and becomes part of her own Christmas story as she leads Margo Callaghan to safety.